The holidays are upon us, which means content marketing should be on every marketer’s mind. One of the great things about this time of year is that it allow marketers to provide customers with additional content value. Content, the right type, has the power to enable customers to save time, check off items on their list, or make the holidays as memorable as possible. The best way to create effective, marketable content is to brainstorm what people want to accomplish during the holiday season. Then, to create the content that helps consumers to achieve their objectives. With that in mind, here are a few content marketing tips to help with your holiday sales. The good news is there are some tested formats known to make an impact. Holiday gift guides are great for helping customers find those awesome holiday presents for the people that matter the most in their lives. A gift guide can also enable great conversion rates whereby brands can showcase their products or services. The goal is to engage one’s target audience. If you can engage, you can help persuade them to buy your products or services on the spot. Some mega brands and big media organizations may be able to get away with providing content that appeals to a broad audience. However, if you’re a small company, identifying your target audience and providing them with the right products and services is the ideal way to drive performance. Focus on catering to their unique interests and needs. Target your customers with sizzling headlines that they’ll find impossible to pass by. Your holiday content, and any content for that matter, should address the topics that your audience cares about. Make sure your content is essentially the same across all your social media platforms as well. When your content stays on point and is consistent, it gives your customers a reason to trust your brand. Consumers become inspired to digest your content from beginning to end. People also tend to act on and share content they are willing to digest. Customers today actually expect marketers to create a sense of urgency. Having said that, one of your biggest challenges and concerns will be your lack of finite time to get the holiday messages across. Your content must be able to convert readers into customers. If they’re not convinced to buy from you, they’ll buy from a competitor. Just keep in mind there are customers who will not return in January if they do not make a purchase during the holiday season. During the holidays, consumers are in the spirit to make a purchase. There’s no reason why you should disappoint them. Refine your strategy. 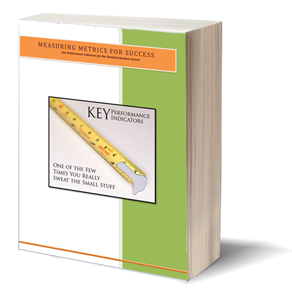 This should start with identifying your key KPIs. Is your goal to increase shares, traffic, leads, conversions, or a combination of each? Work closely with your leadership team. Give your content marketing some serious play time. Don’t throw money away. Spend more on content marketing personnel than on content marketing tactics. Find creative ways to promote your content. You can promote your content through email newsletters, Twitter, Google + postings, Facebook, LinkedIn sharing, pitching industry influencers and site owners, and through link building. In addition to adding value content for the coming holiday season, you can give your audience a little peek into the future. Give them an idea of what your company has planned for the coming year, and even beyond. Your blog remains one of the best ways to get the word out about your products and services. Don’t be afraid to add visual elements in your blog and be the expert at telling your company’s story. 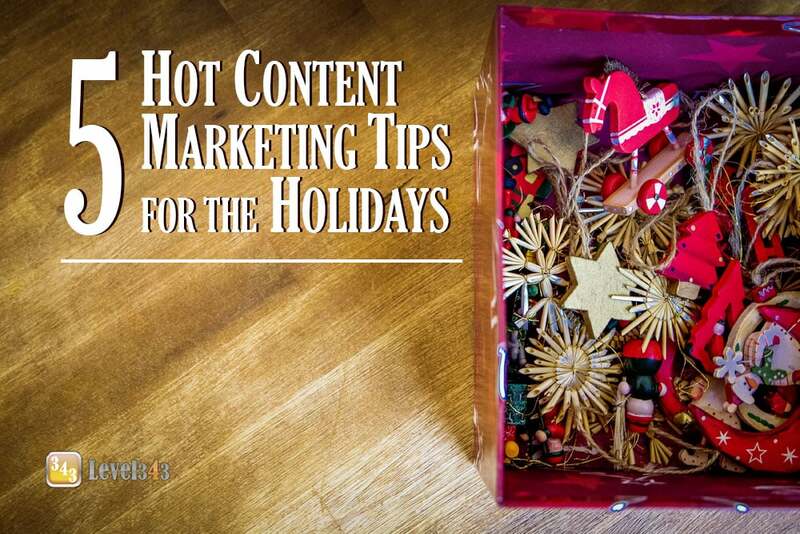 Do you need help with your content marketing strategies for the holidays? Contact Level343 and get your campaign off right.